Presently, Tom is a Registered Principal and Branch Manager with LPL Financial and has passed the FINRA General Securities Representative exam, the FINRA Investment Company and Variable Contracts Products Principal exam, the NASAA Uniform Securities Agent State Law exam, and the Uniform Investment Advisory Law examination and currently holds a California Insurance License #0819700. 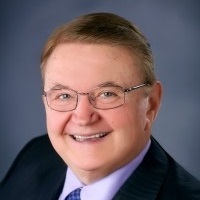 Tom also holds several industry-recognized designations including Certified Retirement Counselor, CRC, Accredited Wealth Management Advisor, AWMA, Certified Mutual Fund Consultant, and CMFC. Tom’s focus is primarily Retirement Planning, Estate Planning and Investments. He is a member of the Financial Planning Association, FPA, and the Financial Services Institute, FSI. Tom believes that through education and guidance he is able to help his clients pursue their retirement needs, wants and wishes. Prior to his current business success, Tom was recognized as a noted drummer and music professional performing with many recognizable entertainment elite including The Fifth Dimension, Vikki Carr, Tony Orlando and Dawn, and the Lido d’ Paris show with illusionists Siegfried and Roy.